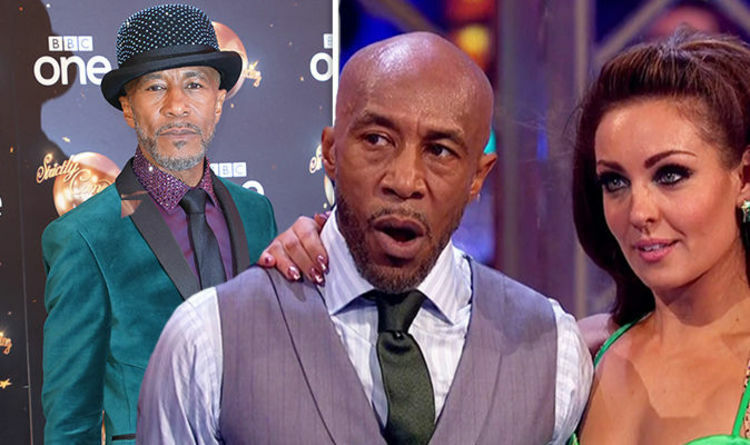 Strictly Come Dancing 2018 contestant Danny John-Jules, 58, recently revealed he hasn’t been out with any of his dance co-stars as he tries to just focus on his dancing. Now, the Red Dwarf star has spilled the real reason why he isn’t interested in socialising with the team. Speaking to Lorraine on her self-titled show on ITV, he explained: “Well I’m 58, we finish at 10 O’clock at night, where else am I gonna go? Earlier this week, Danny said his focus is solely on his “next number”. He told The Sun: “My focus is my next number. He continued: “Anything that is part of our contract, for example It Takes Two, I’ll do, but as far as socialising, I have not been out with one member of the cast. Danny went on to say he was on a “different level” to his co-stars, revealing he came up working with the likes of Normal Wisdom and Vince Hill. Danny’s lack of socialising is proving to be helpful for the dancer, who has so far avoided the dreaded dance-off. Last week, Danny and Amy danced a Quickstep to Freedom by Pharrell Williams. The duo’s efforts received mixed comments from the judges and earned them a total score of 22 out of 40 points. Head judge Shirley Ballas told them: “You push your strengths and hide your weaknesses. It snowballed and then didn’t recover. This weekend, Danny and Amy will perform the Samba to Feels Like Home by Sigala, Fuse ODG, Sean Paul and Kent Jones. Strictly Come Dancing continues this Saturday at 7pm on BBC One.